You are here: Home / Featured Products / Kitchen Accessories / Welcome Mesa Home! We are pleased to welcome Mesa Home to our Timeless Wrought Iron family. They create elegant home goods with a focus on entertaining – products that enhance and enliven indoor and outdoor dining spaces, kitchens and baths. Founded by a ceramic artist in New England more than 25 years ago, Mesa Home’s focus was to bring quality home products to America. Today, they’ve grown into a design center that influences the latest trends in home fashions. Following are some of the Mesa Home products we now carry which are perfect for both daily use and entertaining. 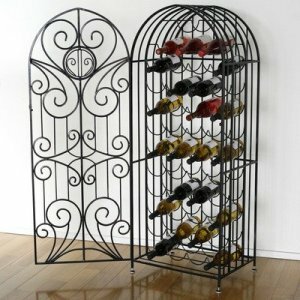 Organize, store and display your wine collection in this exquisitely crafted 44-bottle wine jail. 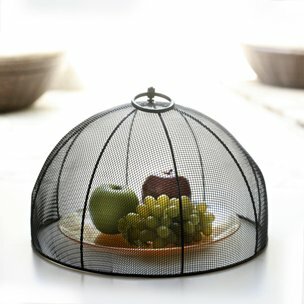 Keep unwanted visitors away at your next outdoor party with this functional mesh dome. 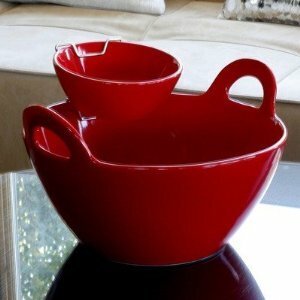 Chips stay put and guests can easily scoop your famous dips from this sleek serving set. 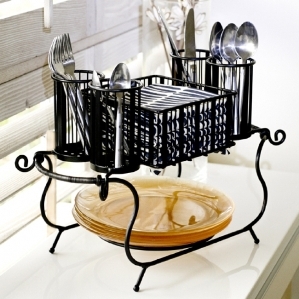 Keep your buffet organized and your guests happy with the Delaware Buffet Caddy. The Delaware system easily holds napkins, flatware and plates. 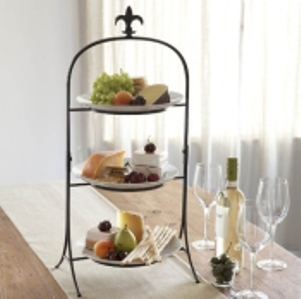 Add to your entertaining collection with this beautifully equipped 3-tier buffet stand. To view the complete line from Mesa Home or to purchase an item above be sure to visit our Mesa Home page on TimelessWroughtIron.com.